Anna Roberts taught fifth grade at Sunny Hill Elementary and has most recently served as Assistant Principal at East Side Intermediate School. Mrs. Roberts taught for 11 years in the Haywood County Schools. She was born in Columbia, Missouri, and moved to Brownsville in 1995 because of her husband’s job with the University of Tennessee Extension Service. 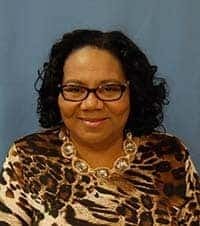 She holds a Bachelor’s degree in Elementary Education from the University of Memphis and a Master’s degree in Educational Leadership from Trevecca Nazarene University. She is married to Tim Roberts, and they have one daughter, Hannah, who graduated from Haywood High School in 2013. Edith Giles Williams is a native of Haywood County. After graduating from Haywood High School, she attended the University of Tennessee at Martin and earned a Bachelor of Science degree. She also earned a Master’s Degree from Trevecca Nazarene College. She has 31 years of experience in education as an elementary teacher and as a Literacy Coach. Mrs. Williams was appointed by former Governor Phil Bredesen to serve on the State Textbook Commission through December 2013. 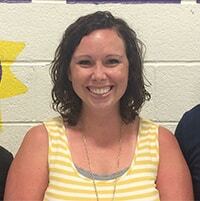 Brittany Pittman has been selected as the instructional facilitator for Haywood Elementary School. Ms. Pittman has been a teacher in Haywood County since January 2008. 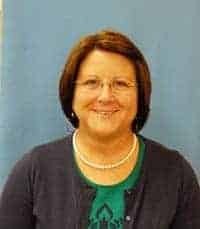 She holds a Bachelor of Science Degree in Arts and Humanities from Freed Hardeman University and a Master of Education in Educational Leadership from the University of Tennessee at Martin. During the 2013 – 2014 school year, Ms. Pittman was a Core Coach with the Tennessee Department of Education.